Mixed media composition of acrylic paint and paper cut-out displaying an abstract image of a rock guitarist drifting in the cosmos spreading his music out of this world and across the universe. 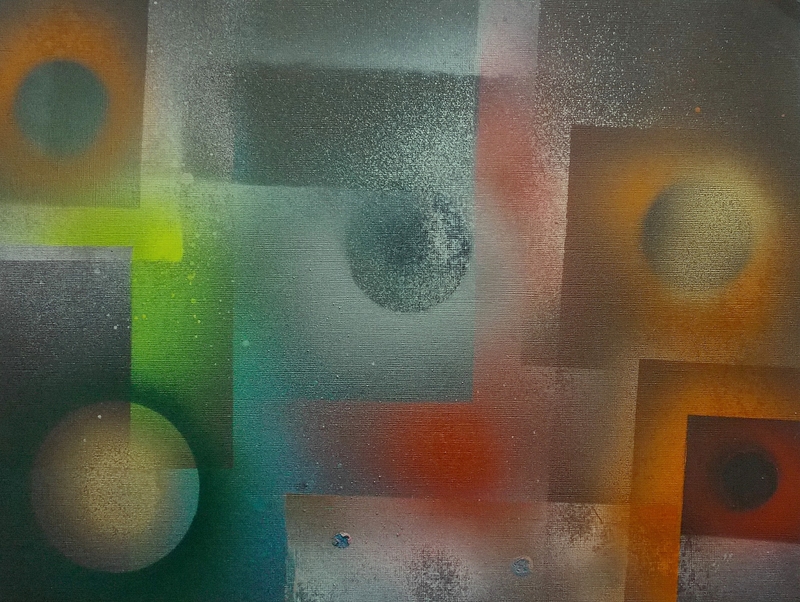 Aerosol spray paint on paper painting depicting an abstract representation of relatively newly formed planet radiating various form of light and heat energy into an angular area of dark space containing hydrogen clouds. 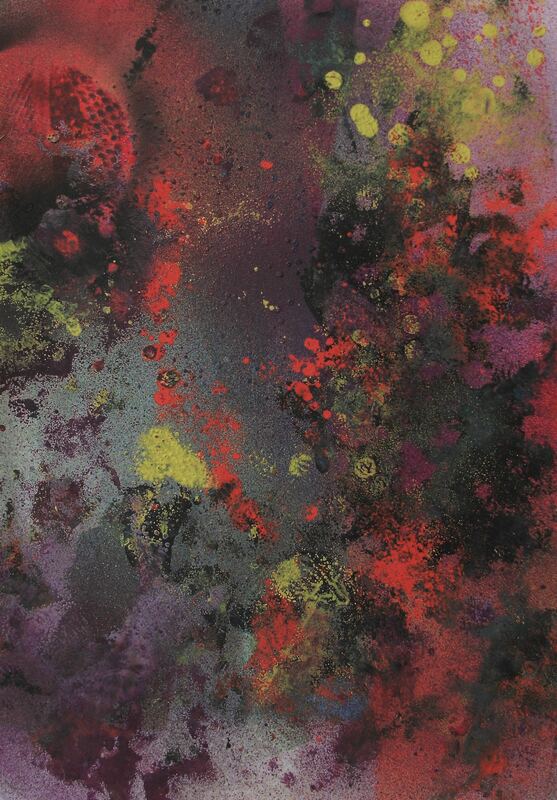 Aerosol spray paint on paper painting depicting an abstract representation of the disintegration of a planet losing its matter into deep space due to the gravitational effects of the nearby giant hydrogen clouds and newly forming stars.